On Saturday 26th August 2017, the African Prisons Project (APP) teamed together with the University of London LLB distance learning students and paralegals. 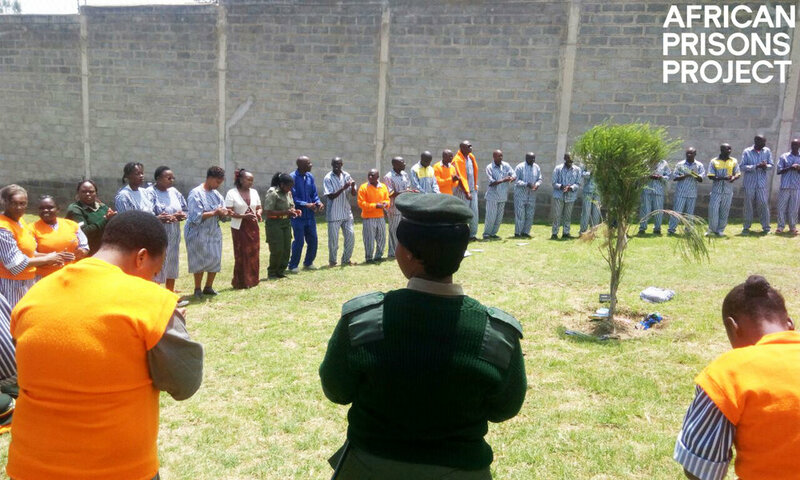 Individuals gathered from Naivasha Maximum Prison, Kamiti Maximum Prison and Lang’ata Women’s Prison to take the time to celebrate results of the just completed academic year. The event was graced by members of the TEDx community. To honor the day, we gathered to celebrate the students, members of staff, the team from APP and many others that had impacted our lives positively in the past academic year. The event commenced with a Jeffersonian lunch where we held group discussions on what it takes to be change makers in our communities and shared various examples of those who had positively changed the direction of our lives. 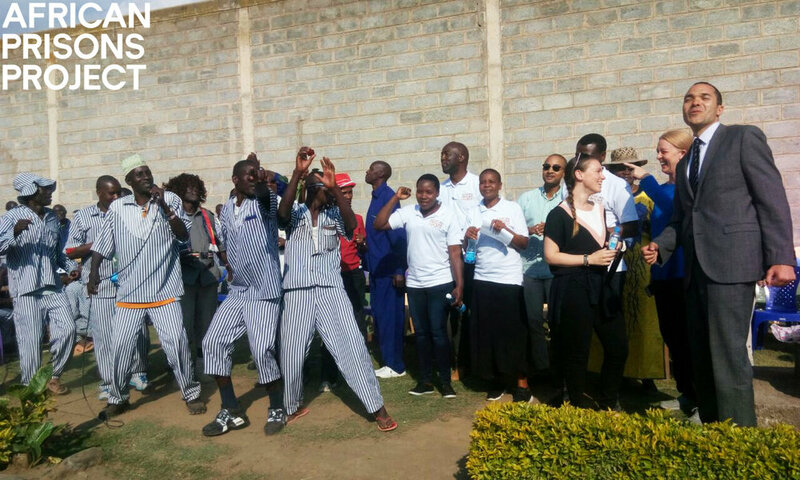 Above: TEDx visitors and the APP team join the Naivasha Maximum Prison band in song and dance. The students and the APP team planted red roses to show appreciation to those that had been change makers in their lives and for the things that had gone well in the past academic year. Some of the students attested that they had come to realise their purpose in life while in prison with many of them expressing much gratitude to Alexander McLean (Director General-APP) and his entire team for the restoration of hope in the prisons through successful appeals and for the opportunity to study law from the University of London. Studying law has enlightened many of the inmates on alternative methods of dispute resolution with some of them even being able to write their own appeals while still helping others to do the same as APP paralegals in their respective prisons in Kenya. Above: Imam Arouna with Jimmy Mutawa a first year student and officer receiving his certificate of recognition for Best Performance. We further took time to reflect on some of the things that had gone wrong in the past academic year and made prayers for the things we hoped for in the near future. This was also symbolically done through lighting of candles in the hope for a better tomorrow and in respect to lost loved ones whose burials they were unable to attend in the past year. The event also saw some of the students with the most outstanding performance receive certificates of recognition in honor of their exemplary efforts despite their learning conditions. Jimmy Mutawa, a first year student and officer received the Best Performance Award which is given to students who attain 60% or above in at least two exams in the same seating year upon their first try. A total of 40 students sat for the exam in Kenya. Our visitors from TEDx were inspired by the humility and commitment to education that was evident amongst the students. Atrayus Goode a member of TEDx and also the CEO of Movement of Youth said that he found it extremely powerful that those who have formerly offended the law get trained to advocate. Throughout the day, students were encouraged to continue pursuing their education and being the change makers that APP is equipping them to be. The new academic year begins in November 2017. Above: Team APP Kenya, Florence Momanyi (Senior Commissioner of Prisons, Kenya), Alexander McLean and TED guests.